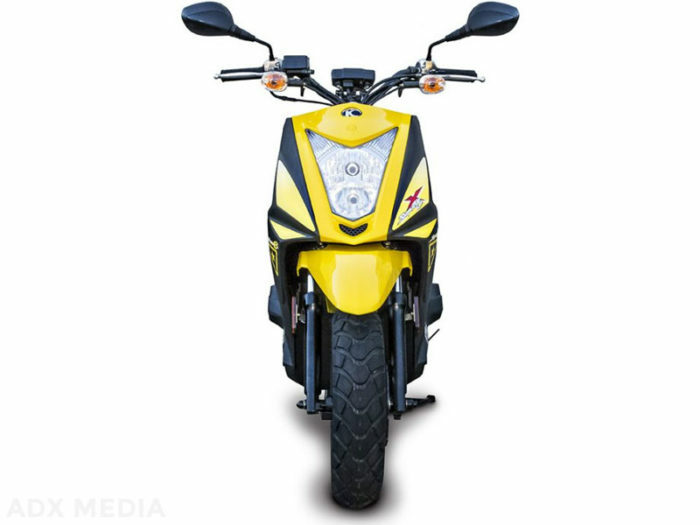 The Super 8 50X is the all-rad ?Guy? 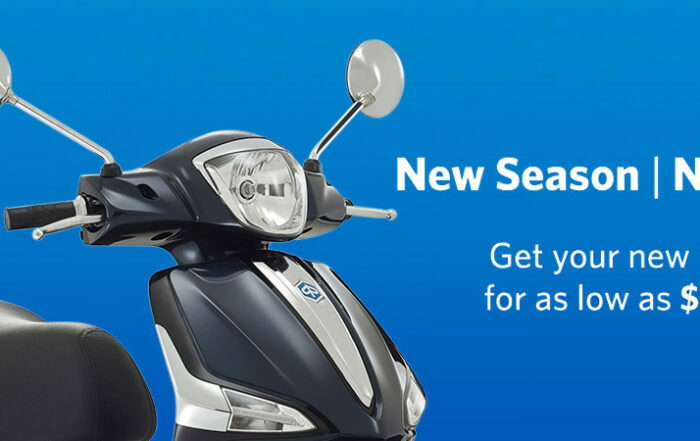 scooter that requires no MC license endorsement; check your local licensing. In the ?moped? 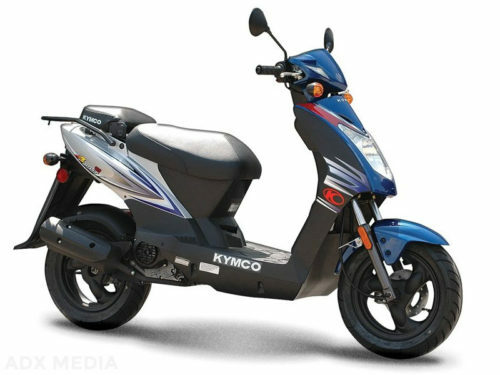 class of scooters that don?t require an operator?s license in most states, the KYMCO Super 8 50X is KYMCO?s premium small-displacement scooter, suited for urban commuting, college life, or neighborhood errands. 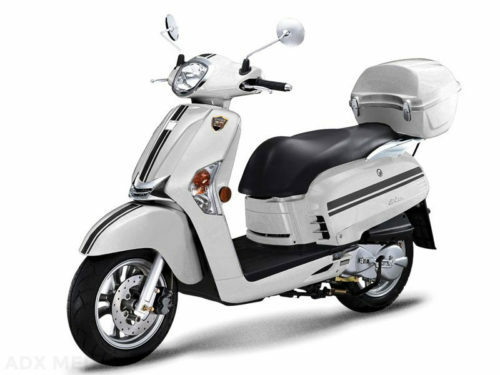 The Super 8 50X even has the added ability to carry a passenger, when a passenger is very important. 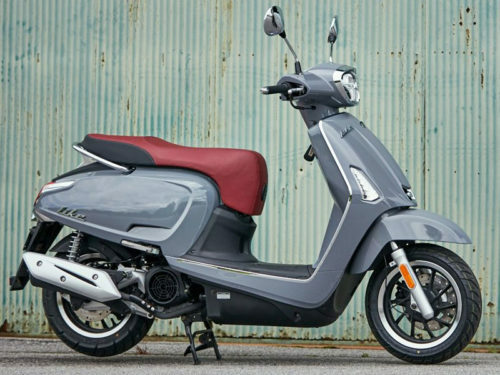 The Super 8 50X is all guy-ish, featuring exposed handlebars, high front fender, small instrument cluster, and fat dual-purpose tires for an aggressive, adventure aesthetic. 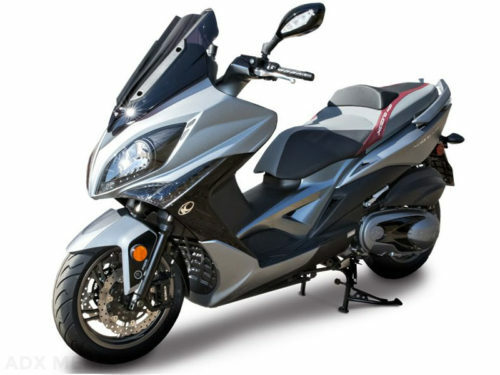 Providing approximately 72-miles per gallon, the twist-and-go Super 8 50X is nearly as efficient as a bicycle, but don?t mix your water and your gasoline. Available in Yellow or Matte Black.